The day after my Next Generation Yoga Teacher Training for 8-13 yr. olds, I went back to work teaching Spanish and Yoga. I offered my students more opportunities for physical movement and mindfulness in the Spanish class, and I approached my teens’ yoga class from a more playful lens where I lived in the moment and invited students’ input and engagement. After just a few days, my life as a teacher of multiple subjects has been transformed! The Next Generation Yoga Teacher Training is so phenomenal that finding the right words to describe it is hard. I’ve taken other Kids Yoga teacher trainings, and NGY really shines brightly. The connectedness of everyone involved and the flow of the day made this training feel like a fun all-day yoga class. We gained the tools and knowledge to serve our children’s community as well as made connections to last a lifetime. 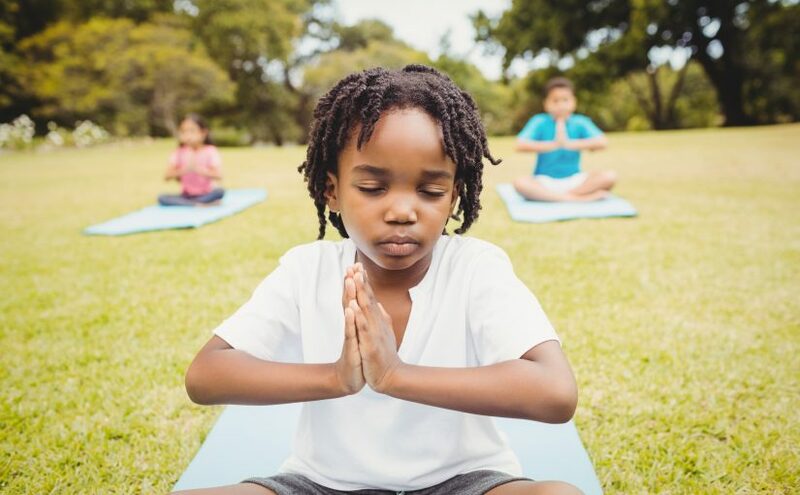 If you’re thinking about becoming a Kids Yoga Teacher, I’d highly recommend Next Generation Yoga. 50% off 2-7, 8-13, teen and advanced trainings if you are a current full-time school employee or full-time student (not to be combined with other discounts). Pre-approval required to receive discount. Please review our terms & policies and email us prior to registering.